Aging is Natural Growing Old is Not! Living and teaching the Ageless Living Lifestyle a mind/body/spiritual lifetime wellness system. Rico's is a living example of what he teaches. His chronological age is 76 a fitness age of 35 and has the energy of a fit healthy person half his age. 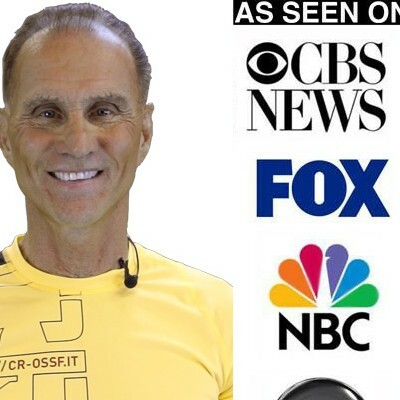 Rico Caveglia is America's Anti Growing trainer and creator of the Ageless Living Lifestyle. The Ageless Living Lifestyle is living without concern with one's chronological age,it is being committed to taking the best possible care of ones's health and physical body and living one's life purpose to make a difference in the world. In his 37 years as a personal health & fitness trainer and Life Coach, he has discovered how mental, physical and spiritual neglect, ages the body prematurely and shortens life span. He has developed and lives and teaches a lifestyle that will give most everyone the best opportunity to avoid disease, old age and to live a long, healthy,energetic, joyful and productive life. He is a entertaining, high energy speaker, workshop leader, athlete and the author of 17 books. His main two books are Ageless Living and Real Food Real Fast. Find out more about Rico Caveglia at http://AgelessLivingLifestyle.com.